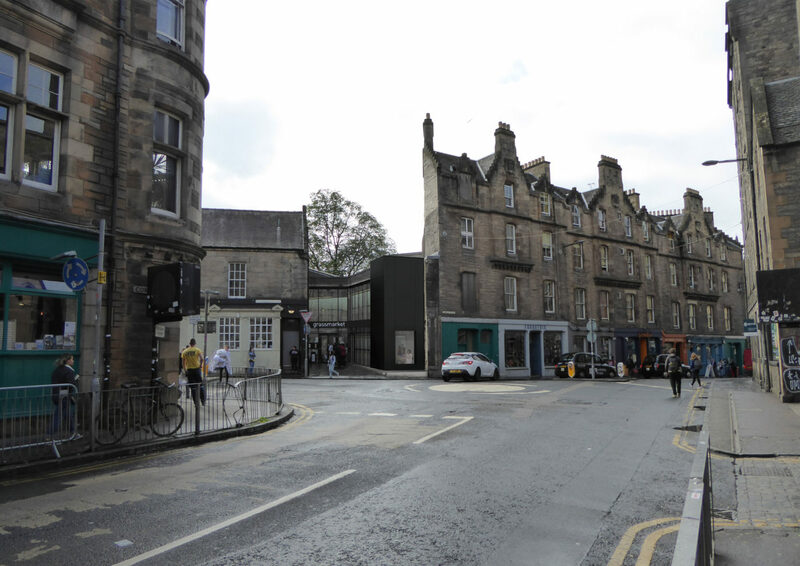 Hoskins Architects has submitted a planning application for an extension to the award-winning Grassmarket Centre, originally completed by the practice in 2013 and thriving home to the Grassmarket Community Project since. The two-storey extension will deliver increased and improved teaching facilities for the provision of support and social enterprise for vulnerable citizens in the area. The highly popular café will also be expanded, in a move to ensure the vital income streams necessary for the charity to continue to operate and prosper. In plan, the extension is angled so that a generous opening to the street, providing a welcoming approach to the building, is maintained. Taking its design language from the 2013 building the internal corner, where the extension meets the existing building, is formed by continuing the glazed curtain walling to create an open façade, allowing light and views in. The street-facing edge is, conversely, formed of solid metal cladding to reflect the solidity of the adjacent building while contrasting with the rough, porous texture of the stone and creates a striking street presence for the Grassmarket Centre. This solid piece is punctured by a single window, allowing a view into the café space to publicise its function and entice visitors. The project is to be completed with a minimum of disruption to the operation of the Centre, in order that the important service provided to vulnerable members of society is continuous. Grassmarket Community Project takes an innovative approach to creating community and providing sanctuary and support to participants, many of whom are amongst the most vulnerable of our citizens. Through mentoring, social enterprise, training and education in a nurturing environment, the Project develops skills which enable participants to develop to their full potential and move away from cycles of failure.